A little more than one percent of all active Android users are running Android 6.0 Marshmallow according to Google's own metrics. The Google Dashboard monitors all devices accessing the Play Store and regularly reports the distribution of OS versions on a weekly basis. The most recent report ending on February 1, 2016 shows Lollipop (5.0 and 5.1) making up 34.1 percent of all Android devices during the period, which is up from 32.6 percent a month earlier. Android 6.0 Marshmallow is a measly 1.2 percent, up from 0.7 percent a month earlier. Manufacturers have been slow to upgrade to Android 6.0, so available devices are thin outside of Nexus devices and expensive flagship models from certain companies. The most widely used Android version is still 4.4 KitKat with 35.5 percent of all recorded users, down by 0.6 percent from a month earlier. 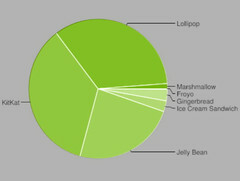 Android 4.1.x to 4.3 Jelly Bean is third with 23.9 percent of Android devices compared to 24.7 percent a month earlier. 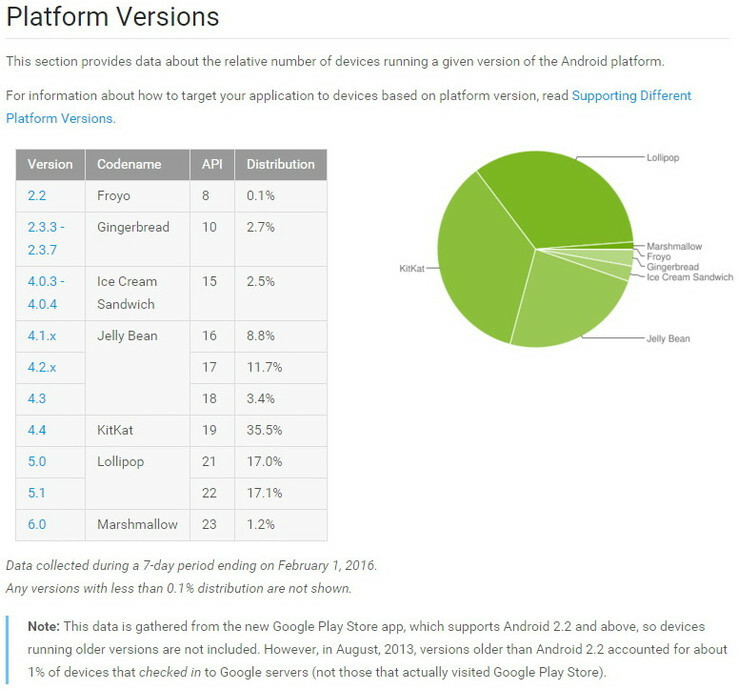 Android 4.0.3 to 4.0.4 Ice Cream Sandwich makes up only 2.5 percent of users while 2.3.3 to 2.3.7 Gingerbread holds 2.7 percent. 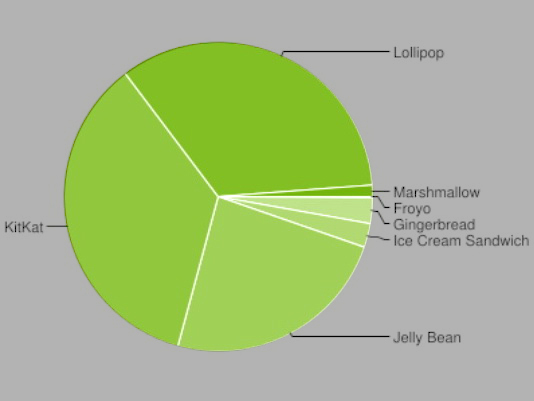 Android 2.2 Froyo makes up no more than 0.1 percent of all users, so Marshmallow could have been doing much worse. Google's Project Ara modular smartphone was recently spotted in the GFXBench database. It remains to be seen if the device can accelerate the adoption rate of newer Android versions.